As any personal trainer will tell you, gaining new clients is only half the battle. Retaining a motivated group of clients is vital if you want to enjoy a successful long-term career. 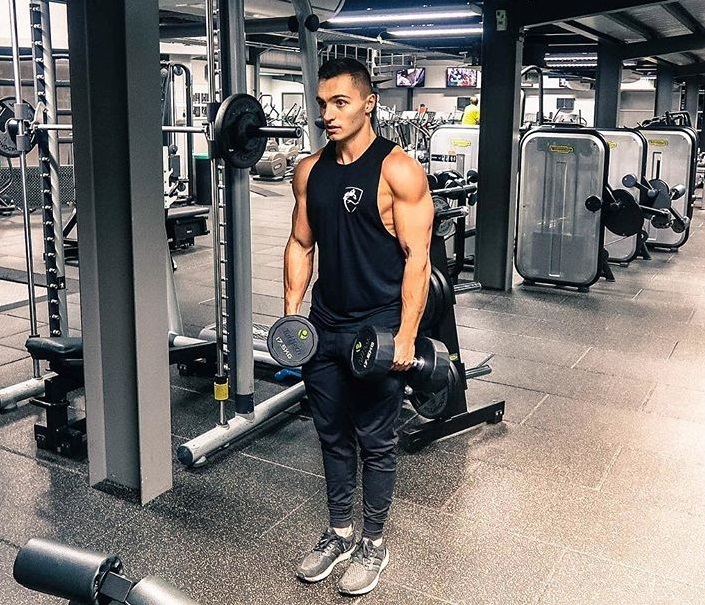 Richard Gregson, a personal trainer at DW Fitness in Brooklands, Cheshire, gives us his top 5 client management tips for personal trainers. You need to view your clients as more than just customers or sources of money. Get to know their hobbies, what they enjoy and what they do for a living. That last tip is key because, if they’re doing a hands-on job which involves lifting heavy objects, the training programme and nutrition they require is going to be different to someone who has a sedentary job. For example, there’s a guy who trains three to four days a week with me who’s a software developer. I’ve had to work a bit on his technique, because he has an arched back from sitting down all day. Posture is key to technique and obviously, your clients are never going to progress if they don’t get the technique right. You should find out about past injuries they’ve suffered or any soft spots they’ve got. You don’t want someone with a bad back doing deadlifts, or it could badly backfire on you. You need to know every aspect of your client’s life in order to train them. Being a personal trainer is a very sociable job, so make the most of it! I’ve had a few clients through the years who have struggled to motivate themselves. One client said to me on the first day of training ‘I hate the gym, I hate exercise and I don’t really want to be here’. Initially, I was a bit taken aback by it. I got to know her, and we started with the basics to ease her in. I didn’t want her to see exercise as a chore, I wanted her to feel comfortable and reap the benefits of it. This client was a social worker and was quite chatty, so I got to know her and talked to her about her job and her holiday to almost take her mind off the fact that she was working out. The hour would fly by and when we got to the end of a session, she’d say ‘That wasn’t too bad!’. This goes back to the first tip about being more than just a personal trainer if you want your clients to enjoy coming to train. Do anything you can to make the sessions as enjoyable as possible. Even the smallest gesture can make a big difference. Another way in which I motivate clients is by giving them weekly goals and tracking their progress using the My PT Hub app. It’s brilliant, especially if you have clients on your books who you don’t see very often. I only want to work with clients who are willing to give me the same amount of effort I put into training with them. If they have certain habits or behaviours they want to change, they need to know they can’t just do one session with me and then go back to the same old routine. As any personal trainer will tell you, an hour in the gym doesn’t allow for a quick fix. If that was the case, everyone who went to the gym would achieve their goals straight away. The clients also have an important role to play in their own progress – personal trainers can only do so much. My clients have to manage themselves outside the gym as well as me managing them, which is where the 80-20 diet rule comes in. That said, part of being honest is dispelling certain myths and putting your client’s mind at ease. This is especially true when it comes to nutrition – it’s not as simple as ‘You must eat chicken and broccoli or you won’t get anywhere.’ You don’t want your clients to feel like they’re in prison! Sometimes, you don’t need to be over-the-top in your honesty, because the facts speak for themselves and the last thing you want is a demoralised or demotivated client. A client was recently showing me their macros on the MyFitnessPal app, and the nutritional information on screen showed why they weren’t getting anywhere. Only be open and honest if you think it’ll have a constructive outcome. There are two types of clients. The ones who want results and will do whatever it takes to achieve them, and the ones who like a stable routine and don’t want to change much. In my opinion, the flexible clients are perfect for personal trainers. They’ll train the way you want, they’ll listen, and they’ll keep pushing themselves by setting new targets all the time. These sorts of clients have a much better chance of success. You won’t always get clients like this, though. I’ve got some clients who like to train chest and back on the same day, and other clients who will only train set muscle groups on specific days. It’s all about managing the client in terms of their personalities. If you try and make too many changes too fast, some clients will be put off exercising. If you’re working with a more routine-based client, you could add one or two new exercises to their programme every few weeks to see how they respond. Supersets at increased intensity are another good way of getting them into a more flexible mindset. For all the advice you’ll give to clients, they’re often only as good as their personal trainers. Lead by example and be consistent, and they’ll naturally adopt your approach. You can lead by example in a number of ways. For instance, turning up to every session on time, staying behind after sessions if there’s anything you want to cover in more detail, and giving clients praise after you’ve finished. Something simple like ‘you did well there’, or sending a follow-up text saying ‘keep it up’ can seriously improve client morale. That text might mean they go to the gym the next week, instead of staying at home. Offering rewards and incentives are also an important part of successfully managing clients. I buy my clients gifts if they’re doing well, which gives them the hunger to keep progressing and pushing themselves. It could be something as daft as a pack of protein bars that they like, but you’d be surprised by what motivates some people! Some clients need this approach in order to achieve their goals. You need to give 110% and be constantly at them. They generally don’t have any problem with this because they know they need a bit of a push. Their personal trainer should be willing to do this for them, and be their blueprint for success. We hope you enjoyed reading Richard’s client management tips for personal trainers. For more advice on how to be a successful personal trainer, download our FREE ultimate guide.